Whenever Joe Bonamassa comes to town it is described as the “guitar event of the year.” That is exactly what Bonamassa and his all-star band showcased Wednesday night at the historic Township Auditorium in Columbia. While under the weather, Bonamassa brought his A-game. Bonamassa and the band came out at 8pm sharp with 2016’s “This Train.” They continued with “Mountain Climbing,” with a slow-burning, heavy riff. Bonamassa was dressed in his usual performance attire. He had his hair slicked back and was dressed in his signature dark suit and shades. The secret is out. Each song contained the same successful formula. They would start a song with a catchy riff. Bonamassa would then play the hell out of his guitar. They would then finish and close out the song. Bonamassa paid tribute to the late, great Albert King with covers of “Cadillac Assembly Line,” “I Get Evil” and “Angel Of Mercy.” Drummer Anton Fig then got a chance to perform a killer solo. Bonamassa broke the news that he was feeling ill, and he wanted to soldier on even while sick for all of the fans in Columbia. Before “Slow Train,” Bonamassa hit one riff and then said, “That’s the whole f—— song right there.” Bonamassa seemed like he was in a good mood. The tempo was slowed down for “Driving Towards Daylight.” They continued with “Boogie With Stu,” a Led Zeppelin tune, and “Last Kiss,” which was swinging blues and featured Bonamassa dueling with keyboardist Reese Wynans. 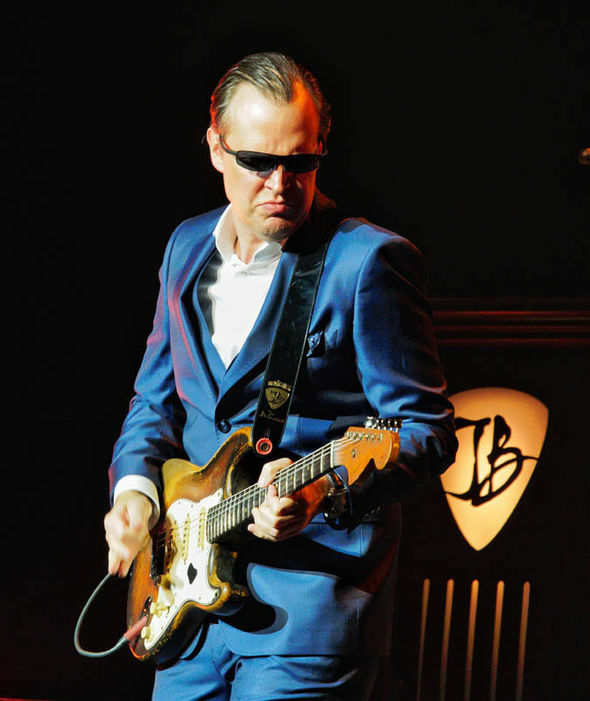 Bonamassa keeps a hectic touring schedule. He revealed that this was their 108th show this year. It seems like Bonamassa gives a more powerful performance each time he comes to town.